HONOLULU, Sept. 26, 2018 /PRNewswire/ -- Central Pacific Financial Corp. (NYSE: CPF) (CPF) (the "Company"), and its subsidiary, Central Pacific Bank (CPB) (the "Bank"), announced today that, effective October 1, 2018, Paul K. Yonamine, a current outside director of CPF and CPB, will assume the positions of Chairman and Chief Executive Officer of CPF, and Executive Chairman of CPB. Yonamine joined the Boards of Directors of CPF and CPB in June 2017, and his new appointments were approved by both boards on September 25, 2018. Catherine Ngo will continue to serve in the capacities of President and Chief Executive Officer of CPB, President of CPF, and director of the CPF and CPB Boards of Directors. John Dean, the current Chair of the CPF and CPB Boards of Directors, will remain a director of both boards. "I am delighted to have invited Paul to take on this position and my recommendation to our Board for his appointment was based on recognizing the significant added value he could provide to our organization, especially in the areas of business development, digital transformation, and IT strategy," said Catherine Ngo, President and CEO. "We are very fortunate to have someone of Paul's caliber joining our team with his leadership, vision, and understanding of our local market." "Paul brings with him a wealth of experience and successful achievements in the financial services and technology solutions industries and we believe that his proven leadership, vision and global perspectives will greatly enhance the strength of the executive management team," said John Dean, Chair of the Board. "On behalf of the Board, I applaud Catherine's decision to bring Paul into this role, which was endorsed by the board with their vote. We look forward to continuing to work with Catherine and to working with Paul in his new role." Yonamine, age 61, currently serves as Executive Chairman of GCA Corporation, the largest independent M&A advisory investment bank in Japan listed on the Tokyo Stock Exchange. GCA specializes in technology based, cross border M&A advisory services with 18 offices across America, Asia and Europe. Commencing October 1, 2018, Yonamine will be Non-Executive Chairman of GCA Corporation, Japan. Yonamine served as President and Country General Manager of IBM Japan, Ltd. until March 2017, and established the company as one of the best performing divisions of IBM with approximately $9 billion in annual revenues, and was recognized by Nikkei, Japan's leading business journal, as a leader in workforce diversity. Yonamine joined IBM Japan, Ltd. in May 2010 as Senior Managing Director in charge of Sales and Distribution, and was Executive Vice President from January 2013 to December 2014. Previously, Yonamine served as President and CEO of Hitachi Consulting Co., Ltd. from 2006 to 2010, where he founded the first consulting and solutions business for Hitachi Ltd. From 2004 to 2006, he was a senior advisor to the Mayor of the City & County of Honolulu where he led a private-public partnership initiative to reengineer City government operations. 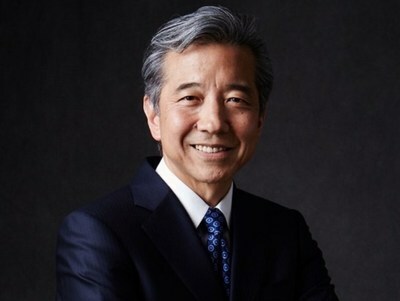 Yonamine also served as Executive Vice President and Chairman of BearingPoint Asia Pacific, President of KPMG Consulting in Japan, Managing Partner of KPMG, LLC – Hawaii Operations, and Partner in Charge of Japanese Practice of KPMG in Southern California. As President of KPMG Consulting, Yonamine managed the due diligence and divestiture work on non-performing loans for several major Japan banks, as well as the systems implementation for numerous financial services companies in Japan. Yonamine is a graduate of the University of San Francisco with a degree in accounting and holds a CPA designation. He also serves as Chairman of the Board of Councilors of the U.S.-Japan Council and is a member of the Young Presidents' Organization, Japan Chapter. In Hawaii, Yonamine was actively engaged with numerous community organizations, including the Hawaii Business Roundtable and the Child and Family Services. 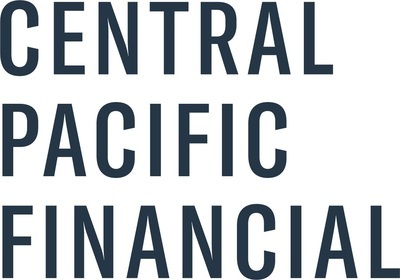 Central Pacific Financial Corp. is a Hawaii-based bank holding company with approximately $5.7 billion in assets. Central Pacific Bank, its primary subsidiary, operates 35 branches and 78 ATMs in the state of Hawaii, as of June 30, 2018. For additional information, please visit the Company's website at http://www.centralpacificbank.com. This document may contain forward-looking statements concerning projections of revenues, income/loss, earnings/loss per share, capital expenditures, dividends, capital structure, or other financial items, plans and objectives of management for future operations, future economic performance, or any of the assumptions underlying or relating to any of the foregoing. Forward-looking statements can be identified by the fact that they do not relate strictly to historical or current facts, and may include the words "believes," "plans," "expects," "anticipates," "forecasts," "intends," "hopes," "should," "estimates," or words of similar meaning. While the Company believes that our forward-looking statements and the assumptions underlying them are reasonably based, such statements and assumptions are by their nature subject to risks and uncertainties, and thus could later prove to be inaccurate or incorrect. Accordingly, actual results could materially differ from projections for a variety of reasons, to include, but not limited to: the effect of, and our failure to comply with any regulatory orders or actions we are or may become subject to; oversupply of inventory and adverse conditions in the Hawaii and California real estate markets and any weakness in the construction industry; adverse changes in the financial performance and/or condition of our borrowers and, as a result, increased loan delinquency rates, deterioration in asset quality, and losses in our loan portfolio; the impact of local, national, and international economies and events (including political events, acts of war or terrorism, natural disasters such as wildfires, volcanoes, tsunamis and earthquakes) on the Company's business and operations and on tourism, the military and other major industries operating within the Hawaii market and any other markets in which the Company does business; deterioration or malaise in economic conditions, including destabilizing factors in the financial industry and deterioration of the real estate market, as well as the impact from any declining levels of consumer and business confidence in the state of the economy in general and in financial institutions in particular; the impact of regulatory action on the Company and Central Pacific Bank and legislation affecting the financial services industry; failure to maintain effective internal control over financial reporting or disclosure controls and procedures; changes in estimates of future reserve requirements based upon the periodic review thereof under relevant regulatory and accounting requirements; the impact of the Dodd-Frank Wall Street Reform and Consumer Protection Act, other regulatory reform, and any related rules and regulations on our business operations and competitiveness; the costs and effects of legal and regulatory developments, including legal proceedings or regulatory or other governmental inquiries and proceedings and the resolution thereof, and the results of regulatory examinations or reviews; the effects of the Tax Cuts and Jobs Act; the effects of and changes in trade, monetary and fiscal policies and laws, including the interest rate policies of the Board of Governors of the Federal Reserve System; inflation, interest rate, securities market and monetary fluctuations; negative trends in our market capitalization and adverse changes in the price of the Company's common shares; changes in consumer spending, borrowings and savings habits; technological changes and developments; changes in the competitive environment among financial holding companies and other financial service providers, including fintech businesses; the effect of changes in accounting policies and practices, as may be adopted by the regulatory agencies, as well as the Public Company Accounting Oversight Board, the Financial Accounting Standards Board and other accounting standard setters; changes in our capital position; our ability to attract and retain skilled directors, executives and employees; changes in our organization, compensation and benefit plans; and our success at managing the risks involved in any of the foregoing items. For further information on factors that could cause actual results to materially differ from projections, please see the Company's publicly available Securities and Exchange Commission filings, including the Company's Form 10-K and 10-K/A for the last fiscal year and, in particular, the discussion of "Risk Factors" set forth therein. The Company does not update any of its forward-looking statements except as required by law.